While starting a blog is relatively simple, generating a steady stream of traffic can be extremely difficult. 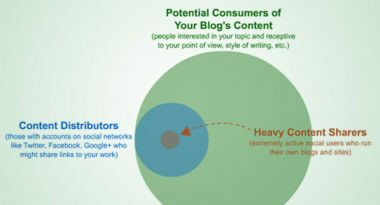 In an effort to help bloggers boost their blog traffic, Seomoz.com compiled a list of its most effective strategies for increasing visits to your blog. 1. Get Involved in Your Audience’s Communities – Do some research into where your target readers gather on the Web, and then join these communities. Listen to your audience’s interests, participate in conversations, and only occasionally make a subtle mention of your own blog in order to earn the audience’s respect and readership. 2. Target an Audience Inclined to Share – Some readers are more apt to share interesting content than others, so create content that appeals to a more active audience. 3. Use Social Media to Share and Connect – Take advantage of the social networking power of Twitter, Facebook, and Google+ by using them to share your content, create new connections, and build buzz about your blog. 4. Create an SEO-Friendly Blog – Search engines can bring an enormous amount of traffic to your blog, so take advantage of this by building your blog on an SEO-friendly platform and ensuring that your content is optimized for search engines. 5. Add Images for Interest – Featuring graphics and photos on your blog can drive additional traffic from Image Search while increasing the engagement of your readers. 6. Use Analytics – Take advantage of sophisticated marketing measurement tools to monitor what’s driving traffic to your blog and who’s talking about your content. 7. Let Keyword Research Guide Your Posts – Try to incorporate strong keywords into your blog titles and headlines in order to optimize your posts for search engines. 8. Join Social-Sharing Communities – Join communities such as Reddit, StumbleUpon, and Pinterest to maximize your exposure and blog traffic. 9. Regularly Link to Other Posts – Link to your previous blog posts to increase readership for additional content, and also link to relevant posts from other blogs to create a spirit of sharing that is often rewarded with similar mentions. 10. Pursue Guest Blogging – This is an outstanding way to spread the word about your blog and can also help you earn references back to your site, which will drive traffic and improve your search rankings. 11. Comment on Other Blogs – Commenting is another great way to increase your blog’s visibility in a relevant forum and drive new traffic to your blog. 12. Add Strong Design Elements – The look and layout of your blog can go a long way in engaging visitors and boosting your professional credibility. Finding a talented Web designer can be a worthwhile investment in your blog’s success. 13. Enable Subscriptions – Encourage steady readership by adding visible buttons to your blog that allow readers to subscribe via feed, email, or both. 14. Engage on Q&A Sites – Demonstrate your professional expertise and increase your blog’s exposure by providing responses to questions related to your blog topic. 15. Bring Value to Popular Dialogues – Participate in conversations on popular blogs related to your industry. By expressing your opinions and knowledge, you can attract the attention of industry leaders and draw like-minded traffic to your blog. 16. Participate in Relevant Events – Attending and hosting events can increase your blog’s traffic by exposing it to new audiences and helping you connect with fellow bloggers who can help spread the word about your blog. 17. Use Your Emails for Blog Promotion – Think of every email as a vehicle for promotion. You can refer to previous blog posts to answer email inquiries and use your email signature to link to content. 18. Pursue the Sites That Link to Your Competition – Sites that link to bloggers related to your topic are just as likely to link to your blog, but the key is finding them and reaching out to make contact. 19. Connect Your Web Content and Profile to Your Blog – Link all of your Web posts and social media profiles back to your blog so you can attract new readers and generate more shares. 20. Engage with Web Surveys – Readers love to answer surveys, so occasionally feature one of these highly engaging polls about an intriguing or controversial topic and watch the conversation unfold. 21. Create “Best Of” Lists Relevant to Your Industry– This type of content is incredibly sharable and spreads the word about your blog throughout your industry. Be sure to notify those on the list so they can share their honor by spreading your content with their connections. 22. Never Give Up – Blog traffic will go up and down and comments will be good and bad, but the important to thing is to stay committed to creating original, engaging content and take every opportunity to promote your blog. It will take time and effort, but your work will be rewarded with readership and respect. To discover the most effective content marketing strategies, contact MDG Advertising.